It's a pleasure to have you visiting our site. I'm Kevin Morton, and on behalf of everyone who has contributed to the wealth of sleep knowledge you'll find here, I want to extend our most sincere welcome to you. This page will give you a little insight into the different cogs and gears turning underneath the hood of the site. I'm Kevin Morton. On behalf of Stanford Sleep & Dreams, welcome to our website! In the winter of 2009, when I was a student for the first time in Sleep and Dreams, I created a little website called DrowsinessIsRedAlert.com for my Outreach Project in the class. It was a modest site both in its size and in my expectations for it, but one of the most rewarding aspects of that project was the fact that I was able to use the site to showcase many of my fellow students' Outreach Projects on it. One of the primary goals of the Sleep and Dreams course is to educate and empower the public with practical sleep knowledge. What better place to do that on a large scale than the global community that is the Internet? This thinking began the process that eventually led to the website you now have in front of you. In 2010, as a teaching assistant in Sleep and Dreams, I decided that DrowsinessIsRedAlert.com could be revamped and taken to a much higher level than I had brought it to the year before. With a vision of the potential impact this project could have, I called on the help of 19 other students in the Winter 2010 class, and we created the framework for End Your Sleep Deprivation. 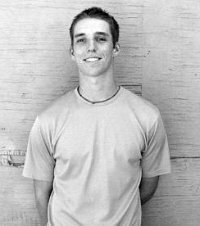 Most of the content on this site is student-created, with the idea of communicating sleep science in a fun and relatable way. To learn more about the philosophy behind this method, please visit this page. Since that time, this site has grown and been refined with the help of a number of different people, from our teacher Dr. Dement to an Advisory Board of professional sleep specialists, to every single student whose Outreach Project is displayed throughout the site. The rest of this page will serve as an introduction to them. 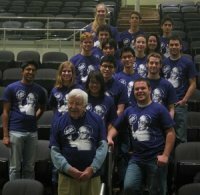 Update: In 2011 I got the chance to serve as Dr. Dement's Head Teaching Assistant, with another group of great TAs and students, who helped to further expand and refine this site. The same scenario looks like it will play out once more in 2012. Interested in more of the story? I recently did an interview with Sleep-Apnea-Guide.com that also gets at the relationship of Sleep and Dreams to this website. Interested in learning more about me and my projects? Feel free to check out my personal website and drop me a line at KevinMorton.me. Dr. Dement is the world's leading authority on sleep, sleep disorders, and the dangers of sleep deprivation. He is considered also to be the father of sleep medicine. From pioneering the field in the 1950s with the first all-night polysomnographic recordings, to the rush of discoveries that took place in the following decades, the field owes incalculable gratitude to his energy. To learn more about Dr. Dement, and to see the impact his class has had on students over the years, please visit this page. As a student-run website, we're modest enough to know that while we have obtained a great foundational knowledge in the science of sleep and dreams at Stanford, there are surely a few missteps we will undoubtedly take in our effort to communicate that knowledge to our visitors. In an effort to limit those missteps as much as possible we are fortunate to have a highly distinguished Board of Advisors in addition to Dr. Dement to lend their keen eyes to the information we provide. We extend our greatest thanks to our advisors, and extend to you an introduction to each below. Dr. Thomas Roth is one of the leading authorities on sleep and sleep medicine in the world and his contributions to the field are expansive and hard to capture in a few sentences. 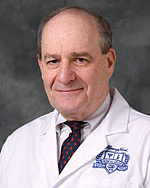 Dr. Roth is the founder and has served as director of the Henry Ford Hospital in Detroit since 1978. 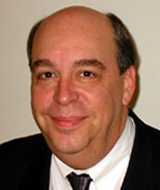 Dr. Roth is also a professor in the department of psychiatry at Wayne State University, School of Medicine in Detroit, Michigan, and serves as a clinical professor in the department of psychiatry at the University of Michigan, College of Medicine in Ann Arbor. Dr. Roth also served as the founding president of the National Sleep Foundation, as well as the president of the Sleep Research Society. 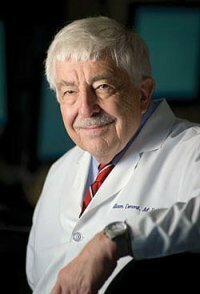 He is the former Chair of the National Center of Sleep Disorders Research of the National Institutes of Health (NIH) and former Chairman of the World Health Organization's (WHO) worldwide project on sleep and health. See an interview with Dr. Roth about sleep in teenagers. Dr. Rachel Manber is the director of the Insomnia and Behavioral Sleep Medicine Program at the Stanford Sleep Disorders Clinic and an associate professor at the Stanford University School of Medicine. She treats patients with insomnia and other sleep disorders, teaches, and conducts research on sleep, insomnia, and depression. Dr. Manber's clinical focus lies in non-pharmacological treatments of insomnia, sleep difficulties in children and teens, and adjustment to the CPAP in sleep apnea patients. Her current research interests include comorbid insomnia and depression, the treatment of depression during pregnancy and post partum, the phenomenology and treatment of insomnia, and the effects of female gonadal hormones on sleep. You can learn more about Dr. Manber from her profile at Stanford University School of Medicine. Or check out her information-packed Google Knol on Insomnia. Dr. Clifford Saper is the James Jackson Putnam Professor of Neurology and Neuroscience at Harvard Medical School and Chairman of the Harvard Department of Neurology at Beth Israel Deaconess Medical Center in Boston. Dr. Saper is known as one of the world's foremost neuroanatomists for creating "neural maps" of the brain's complex circuitry, whose contributions go well beyond the field of sleep research. The focus of the Saper laboratory is on the integrated functions maintained by the hypothalamus. These include regulation of sleep-wake cycles, body temperature, and feeding. You can learn more about Dr. Saper from his profile at Harvard. Or check out the complete listing of Dr. Saper's publications on PubMed. Dr. Mark Mahowald is a renowned expert on parasomnias and the medical director of the Minnesota Regional Sleep Disorders Center at Hennepin County Medical Center. He is also a professor of neurology at the University of Minnesota. Dr. Mahowald's primary interest is in the education of medical students, residents and fellows, with particular reference to promoting the concept of a truly multidisciplinary sleep medicine program. His clinical research interests include parasomnias, state dissociation and forensic aspects of sleep-related violence, emphasizing the importance of close collaboration between clinicians and basic scientists. Dr. Sharon Keenan serves as Director of The School of Sleep Medicine, Inc. as well as Diplomate of The American Board of Sleep Medicine. In 1979 Dr. Keenan joined William C. Dement's internationally recognized team at the Stanford University Sleep Disorders Clinic and Research Center. It became evident that courses had to be organized in order to manage the increasing demand for information regarding the diagnosis and treatment of sleep disorders. By 1982, Mary Carskadon, Dement, and Keenan had begun organizing courses for physicians and technologists. 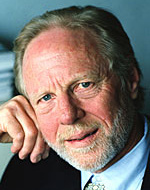 Their work culminated in the creation of The Stanford University Sleep Disorders Center Training and Education Program, with Keenan as director. Dr. James Walsh founded the Sleep Medicine and Research Center at St. Luke's Hospital in St. Louis, Missouri in 1993 and currently holds the position of Executive Director and Senior Scientist. Dr. Walsh is also a visiting professor in the Department of Psychiatry of the Stanford University School of Medicine. Additionally, Dr. Walsh is serves as Clinical Professor in the Department of Psychiatry and Adjunct Professor of Psychology at St. Louis University. In 1981, he founded the Sleep Disorders and Research Center at Deaconess Hospital in St. Louis, where he served as director until 1993. Read an article by Dr. Walsh from WebSciences.org entitled Chronic Insomnia, Ability to Function and Quality of Life. Dr. Mark Rosekind, sleep specialist, NASA scientist, alertness expert and one of our favorite lecturers at Sleep and Dreams, is no longer able to serve on our Advisory Board, as he has now been confirmed a member of the National Transportation Safety Board after being nominated by President Obama in October 2009 (read more about that story here). At left are most of the 19 students in the Winter 2010 class who helped me created the framework for the website you now see in front of you. From writing articles to creating design elements and offering organizational suggestions, they were instrumental to the site getting off the ground. Lo Min Ming - Lead Site Designer, Writer. Click to see more of his work. As evidenced by the hundreds of Outreach Projects displayed on this site, the students of Sleep and Dreams, both in the last couple years that I have been a part of the class and in the four decades prior, of which each subsequent class has built off of, have been instrumental in its success. This site is entirely dedicated to the spirit of the Sleep and Dreams class and the students who have made it possible. If you are or once were a student in Sleep and Dreams, please take a minute to let us know how the class has touched you, or what you think of this website. In particular, I'd like to sincerely thank my fellow Teaching Assistants in the 2010 classes--Alexis Link, Andrew Dargie, Eitan Winer, Nica Langinger, Emily Harris, Mai El-Sadany, and Head TA Alex Carney--without whom it would not have been possible to get this site off the ground with the efficiency that we managed. Read more about Dr. Dement and his impact on students.